This customer wanted the complete package. 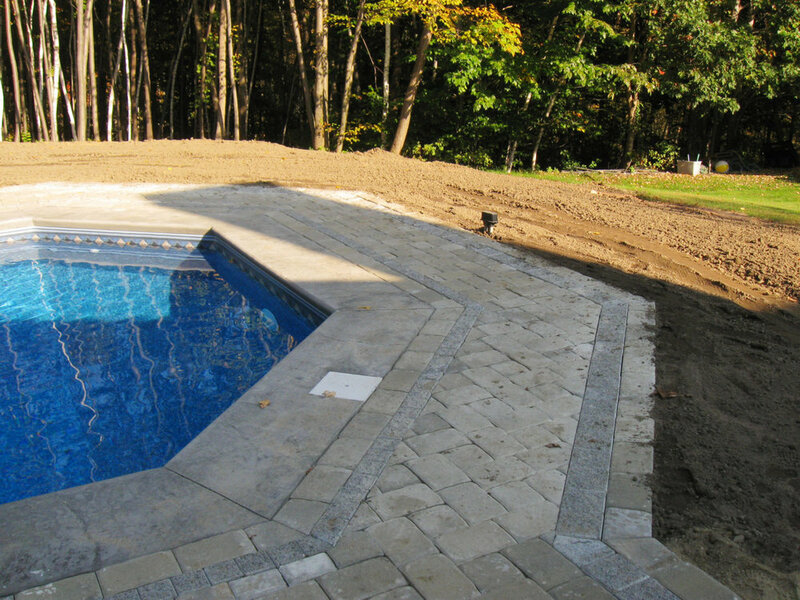 a complete renovation of their poolside with full hardscaping using Belgard® stone around the pool. 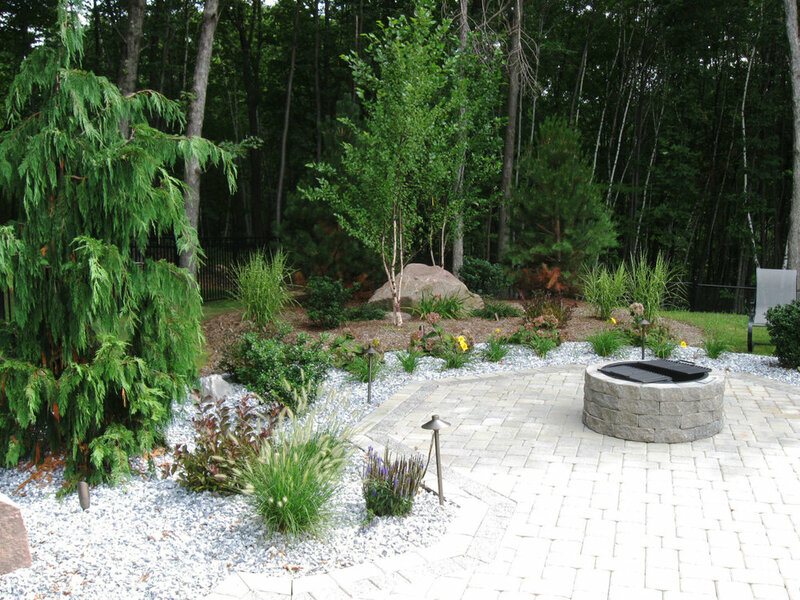 The boulders used within the aquascapes were boulders found when removing trees and stumps, as well as installing underground electrical & gas lines, and grading out the back of the property. 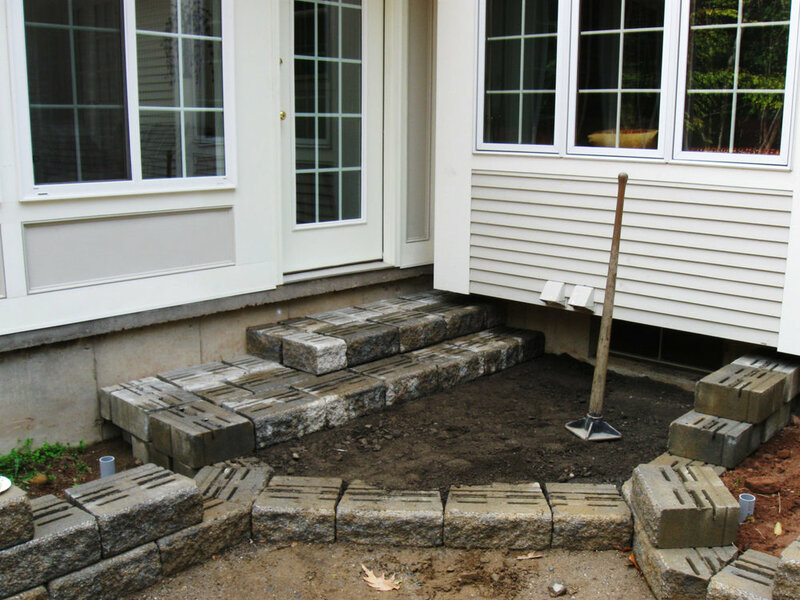 We turned to Local Goshen stone to build up the firepits, as well as the stairs leading off the back of the house. The two chipping greens were spaced out at 35 yards, and 70 yards in distance, providing two different distances to chip from. 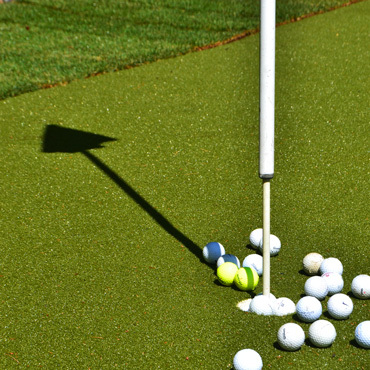 We chose the Dupont® Foreverlawn™ artificial turn for the putting greens. 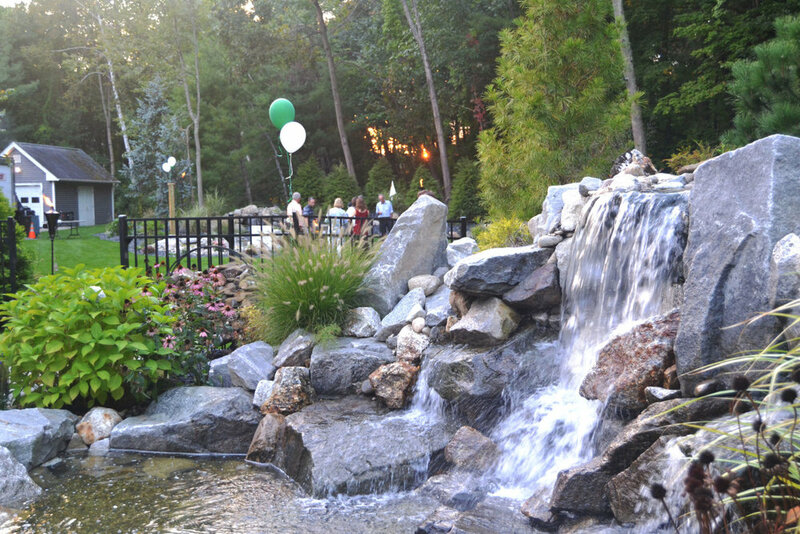 Two of the aquascapes run off one pump, and run underneath a sidewalk to save on pump costs, as well as electricity costs for the client, but maximize the aesthetics within the property. 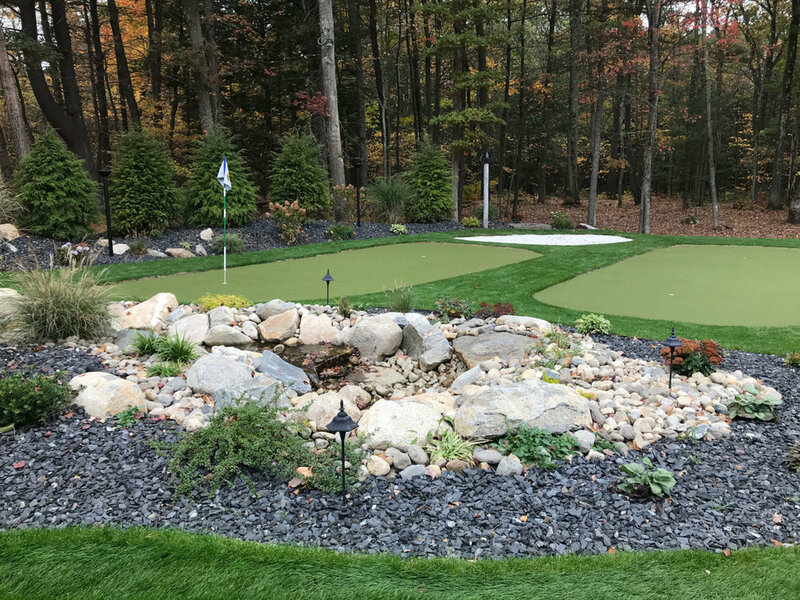 Although we were near completion with this project, the client decided they wanted to host a party, with two weeks notice, and this was before the sod was installed. The customer called us and asked if we could have the sod installed (8400 Sq. Ft) for the party. We were happy to report that the sod was installed 72 hours later, with a week to grow, and even had to be mowed once before the day of the party. This project would have grown exponentially in price if our customer would have had to use multiple contractors, but because Pioneer Landscapes, Inc. had both the equipment, and experience, we were able to keep the costs down, as well as finish in an efficient manner. This large project required us to grade the landscape, put down fresh loam, design the mulch beds, shrubs and accents within the mulch, and lay down 18,000+ sq ft of sod. You will see some patterns in the way the grass lays down, but don’t be fooled, in the final finish pictures, taken the next spring, you will see a beautiful smooth turf. During this project we had a freak New England Snow storm, and you will even see that this did not stall our production at all. 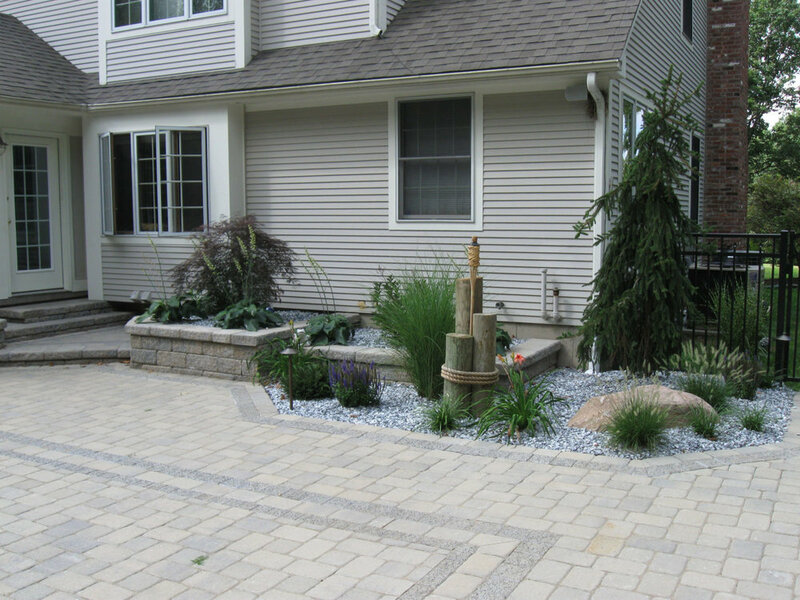 This residential customer wanted a complete transformation of their backyard from start to finish, which is our favorite type of project to work on. 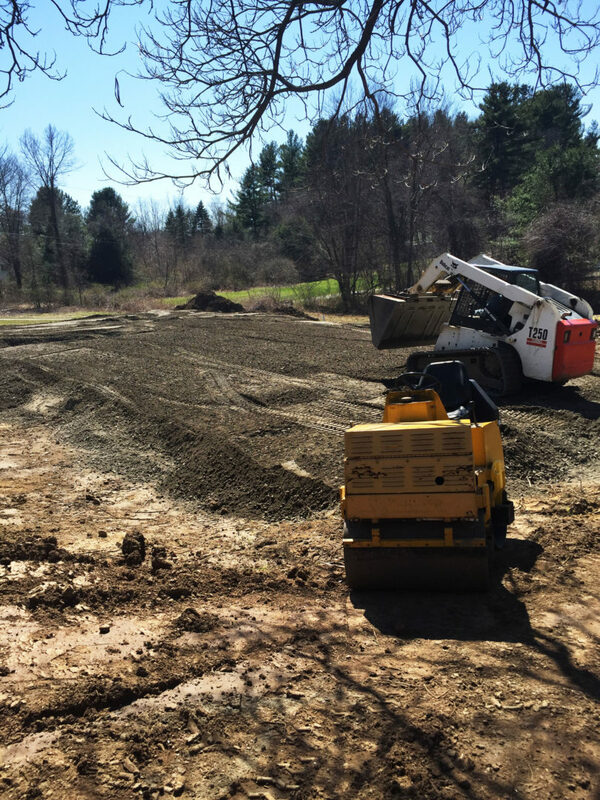 Our client knew how much space they wanted use, so during the design phase you can see our team was already clearing the property, removing stumps, and grading the ground. The customer liked the idea of a nautical theme which led to our choice of creating the faux harbor piers and choice of grasses within the landscaping. 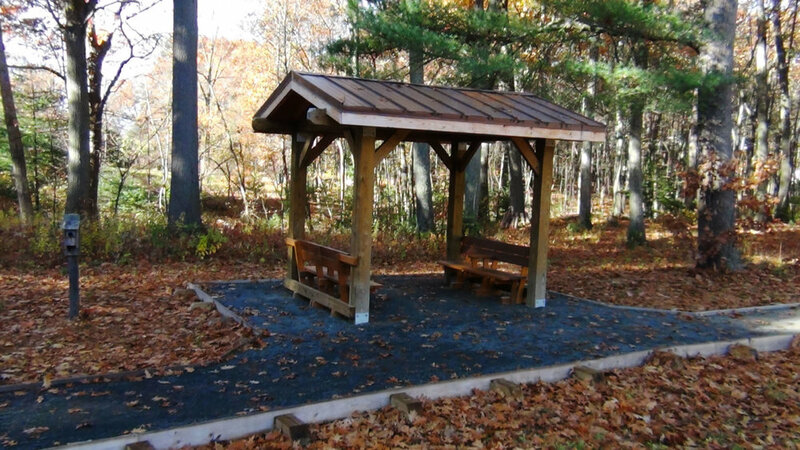 With an existing Pergola, our client needed a little more to match his creativity and vision. We started by regrading his backyard and installing a retaining wall to create the necessary space, and inserting a drainage box. It was a surprise to us when excavating, we hit a rock ledge at 3 feet deep so we had to customize the drainage box to achieve the necessary and proper drainage. Once the land was prepped, we finalized our design, and began construction of the patio which would wrap around to the front driveway for easy access for guests. 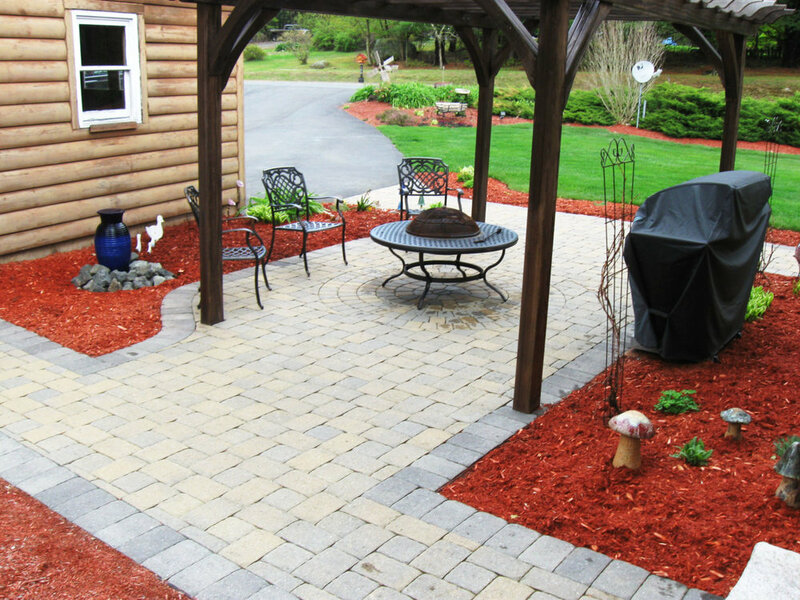 For this project we suggested the wood grain techo-bloc, and our client loved it. For the bar, we used a local Goshen stone to build up the sides, with a marble counter top that was also used around the pillars of the pergola. 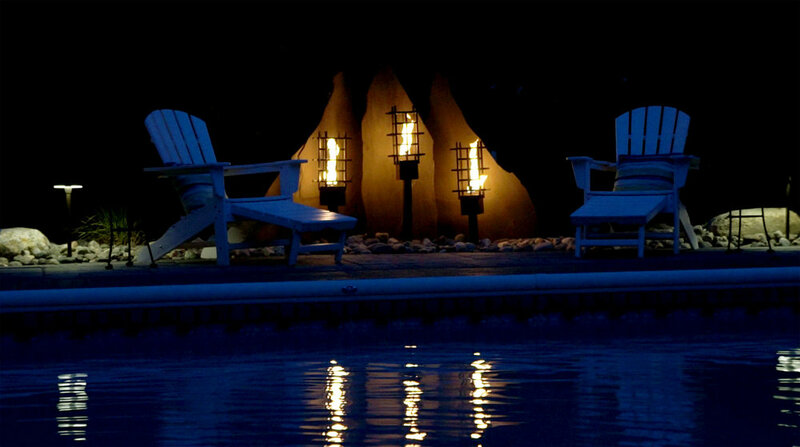 Lastly, an elevated firepit was inserted with room to seat guests, set aside at a safe distance from the pergola. 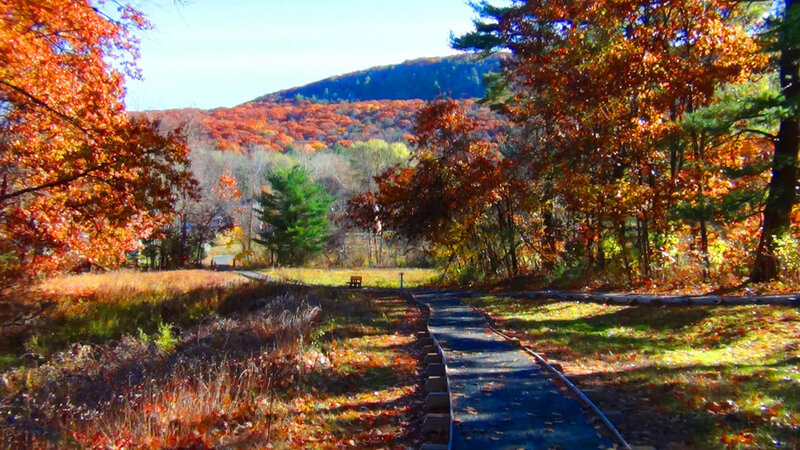 Along with commercial landscaping this property, we also took on the project of air spading the trees to oxygenate the soil and roots, and bring more life and vibrancy to the trees on the property. 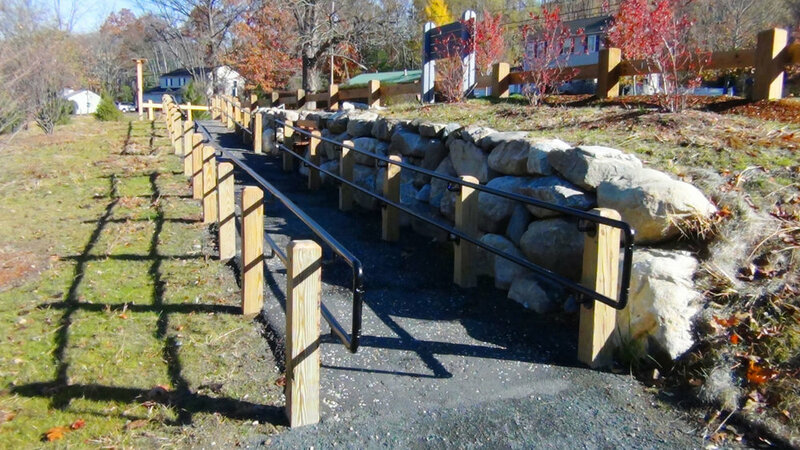 For this commercial client, we excavated a failing concrete retaining wall, and replaced it with a local fieldstone. Upon completion, we back filled, followed by mulched the area to complete the look. Our customer first called wanting too create a walkway to connect two buildings to the driveway. 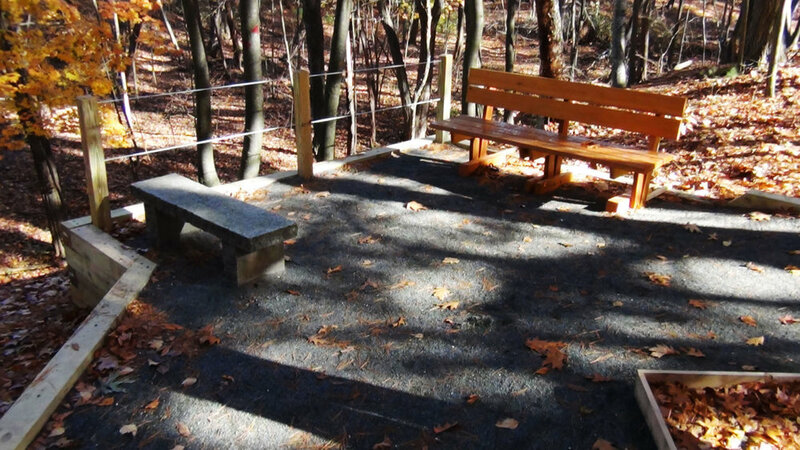 We suggested to use the space to its full potential, and create an outdoor living space out of the walkway. 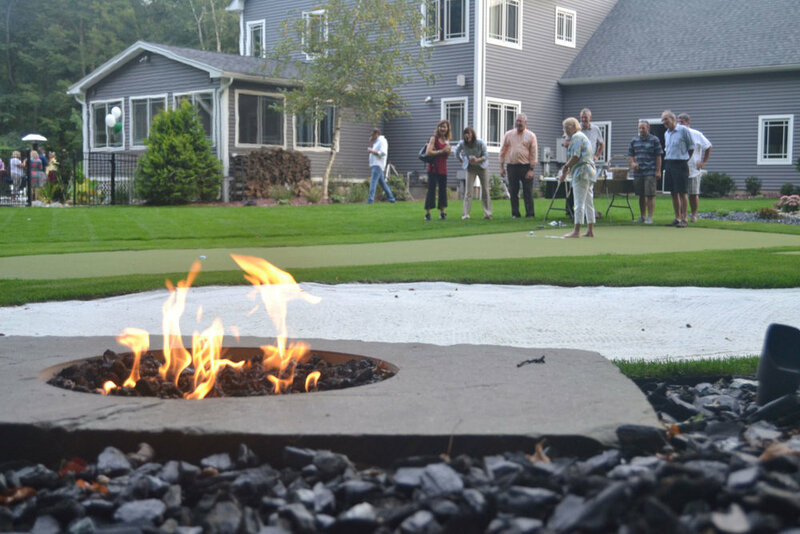 Using the Ideal Vineyard Blend of pavers, based around a circle center, we filled in this space creating a useful walkway, that also functioned as an outdoor living space to suit our customers request of a removable firepit. This customer had a beautiful lakefront property, but their walkway down to the dock needed to match the home and property, a restoration was due. 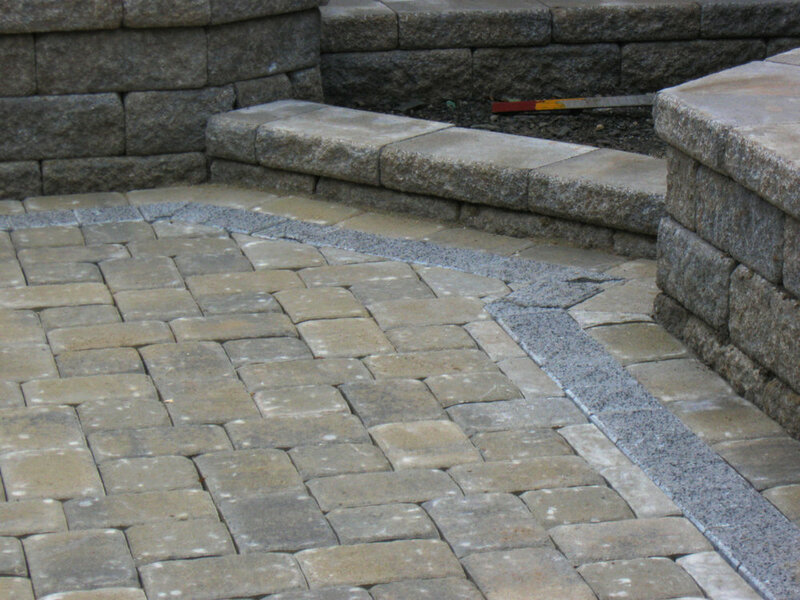 We suggested a local goshen stone walkway, with a matching paver, and completed this job quickly in the spring so that the customer could focus on their summer, and enjoying their property. A complete removal of all existing landscape, redesign, and construction of an entire new intrance connecting the driveway to the front door for this customer. 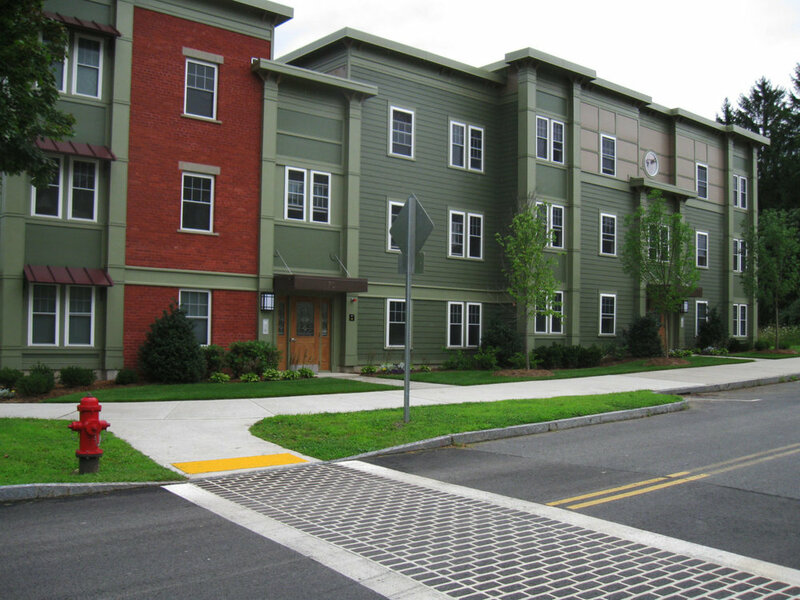 Pioneer Landscapes performed every step of the project, including concrete walkway, as well as flagpole installation, to see this project through from start, to finish. With this project, our customer had big ideas, with minimal room to work with. This led to the choice of installing an aquascape. Because of the downhill nature of the slope and minimal room, a 3-tiered waterfall fit perfect in this environment. This waterfall would still create a wow factor for anybody walking up the steps to this property.